Elizabeth 1 was born 7. September 1533 and died 23. March 1603. Elizabeth was the queen of England and Ireland from 17 November 1558 until her death. She was sometimes called The Virgin Queen, Gloriana or Good Queen Bess. She was the daughter of Henry VIII and Anne Boleyn. Anne’s marriage to Henry was annulled, and Elizabeth was declared illegitimate. Her half-brother Edward ruled to his death and ignored the claim of his two half-sisters, in spite of statue law to the contrary. Edwards will of bequeathing the crown to Lady Jane Grey was set aside and his half-sister Mary became queen. Elisabeth was imprisoned for a year under Mary’s reign on suspicion of supporting Protestant rebels. In 1558 upon Mary’s death, Elizabeth succeeded her half-sister to the throne and set out to rule by good counsel. One of her first actions as queen was the establishment of an English Protestant church, of which she became the Supreme Governor. This Elizabethan Religious Settlement was to evolve into the Church of England. And as a queen, she was expected to find a man, marry and produce an heir. She never did. 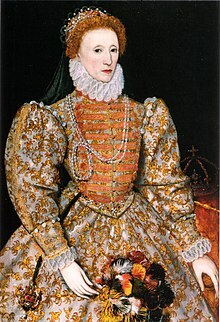 Elizabeth’s reign became known as the Elizabethan era. The period is famous for the flourishing of English drama, led by playwrights such as William Shakespeare and Christopher Marlowe, and for the seafaring prowess of English adventurers such as Francis Drake. After the short reigns of her half-siblings, her 44 years on the throne provided welcome stability for the kingdom and helped forge a sense of national identity. I am a survivor of high school. Back in the days, the opportunities were minimum, but the opportunities today are endless. I know what I like, but I don’t know what I want. Growing up in Skodje, a small town, I have found my interests and hobbies. I like singing and working out at the gym and would always like to be surrounded by friends and family. I am a positive girl and I’m always searching for new things to try. I am hard working and can’t ever leave something unfinished. I am currently a student at Fagerlia High School in Ålesund and I attend the international study program. I have been on two different exchange periods and have experienced how to adapt to new countries and learned about different cultures. I have great knowledge of how to interact with different people and I find that one of my best features. I love talking, I always have, I would call myself an extrovert. One of the jobs I have taken interest in lately is marketing, I think it’s interesting, but do I want to live by marketing the rest of my life, the thought is scary. There is so much to choose from, there is a high possibility that I will choose something different because interests may change over time. But my biggest goal in life is to succeed in whatever job I choose in the end. And that is the reason why I would like to continue studying to become better and learn more about what I want than what I like. I have my advantages and disadvantages. In school, I’m always the overachiever, some subjects are better than others. I always live up to the expectations and do my best. My advantages overcome my disadvantages. I have a strong voice and I’m not afraid to say what’s on my mind.